Yes, cats do get sad! Here are a few fun on how to cheer up your sad cat. Does your cat seem sad lately? Believe it or not, the same things that make people sad—boredom, loneliness, even seasonal changes—can put cats in a lousy mood, too. Luckily, a little special attention and a few easy tricks are all it takes to cheer up most sad cats. 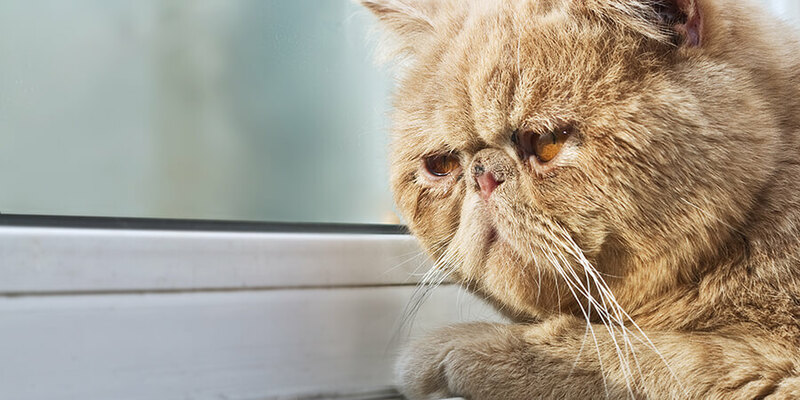 Follow these tips on how to cheer up a sad cat, and your cat will be purring again in no time! 1. Figure out what’s making your cat sad. If your cat is experiencing a change in mood, there’s probably a reason. Has anything in your cat’s environment changed? Have you gained or lost any members of your household (human or animal)? Have you been away from home more than usual? If you can understand why your cat has the blues, it will be easier to find the right solution. 2. Use playtime to cheer up your sad cat. Exercise and social interactions are proven mood-boosters—for people and cats! Regular play gives your cat both. Make a plan to engage in 15 minutes of active play with your cat at least once a day. When you’re not around, be sure your cat has access to plenty of stimulating toys—you can even make your own cat toys! 3. Give your sad cat access to the great outdoors. Especially during the winter months, lack of sunlight and fresh air get your cat down in the dumps. Providing safe access to the outdoors can go a long way toward cheering up your cat. This could be as simple as setting up comfortable windowsill perches so your cat can enjoy the sunlight, or as elaborate as building an enclosed “catio” in your yard. Considering letting your cat roam free outside? 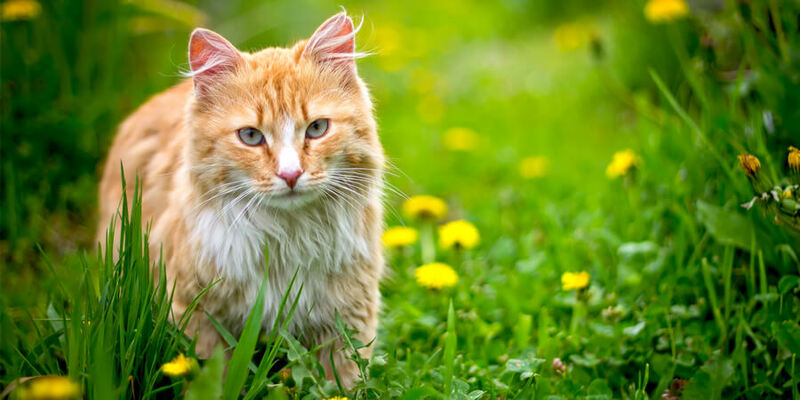 Check out our guide to keeping your outdoor cat safe first! 4. Consider adopting a new cat companion. If you only have one cat, loneliness and boredom might contribute to feline depression. Many cats will be happier with a friend, as long as you have enough space for each cat to have his or her own territory. Before you bring home another cat (or two! ), read our tips for keeping the peace in a multi-cat household. If getting a new cat isn’t in the cards, don’t worry. 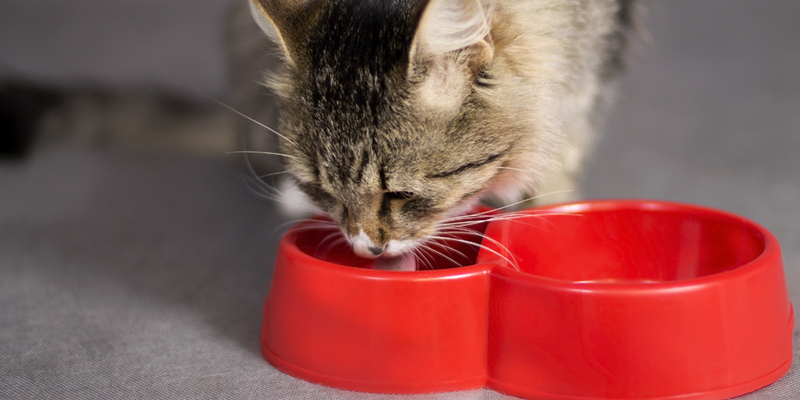 You can help keep your single cat happy with these three tips. 5. Schedule a visit to the vet. If extra playtime, sunshine, and companionship don’t do the trick, take your cat to the vet to rule out medical problems. A cat who seems sad may actually be experiencing pain, discomfort, lack of energy, or other complications from an illness or injury. As a last resort, your vet may even recommend antidepressant medication for cats whose mood causes significant behavioral problems. Cheering up a sad cat can take time, determination, and creativity, but it’s worth it to see your cat enjoy life again. Want more tips for keeping your cat happy and healthy? Click here to connect to World’s Best Cat Litter™ on Facebook and Twitter and sign up for our newsletter!